I am interested in 0 Grove Road, Brooksville, FL 34613. Mixed use with 10 acres commercial, 29 acres being sold subject to multi family rezoning. Currently 19 acres approved for hospital type medical facility with special exemption allowing for 275 ALF units of which 90 units could be SF Condo's 55+. 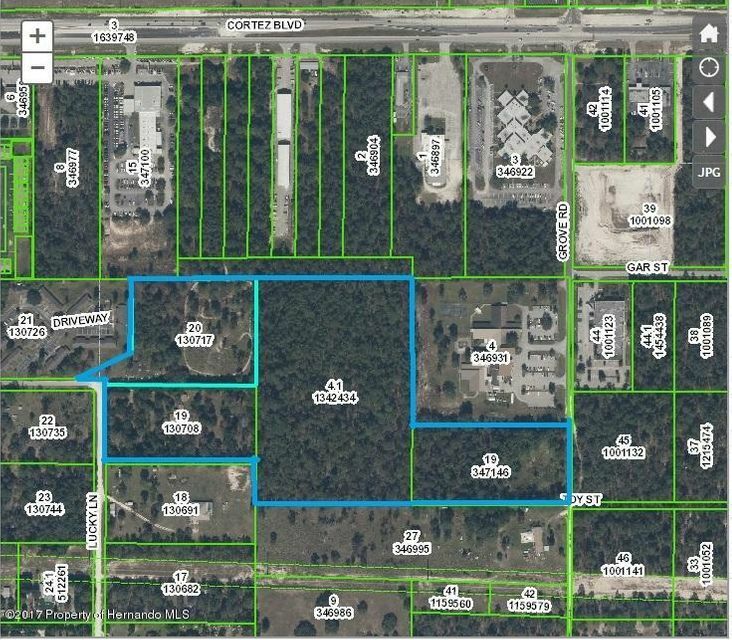 Very close to Suncoast Pkwy...Adjoining parcel to the North is 10 acres of which 8 is zoned C 1, 400 foot fronting on SR southerly 2 acres will need to be re zoned. Additional 4.8 acres to the west is currently zoned Ag. Potential exists to re zone to ALF for an additional 35 to 40 units. 5.7 acres zoned multi family. Brookridge 55+ mobile home community with 2440 units is located across the street. Current traffic count, approximately 35,000 cars daily.Being sold subject to obtaining site plan approval and final plat.